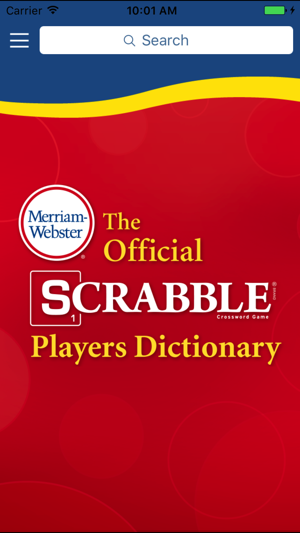 The perfect dictionary for playing SCRABBLE® – an enhanced version of the best-selling book The Official SCRABBLE® Players Dictionary, Fifth Edition. 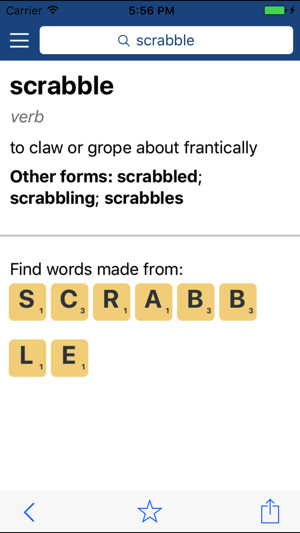 The app includes ALL of the words that are eligible for recreational and school play – including thousands of words added from the Official Tournament and Club Word List, 2014 Edition. 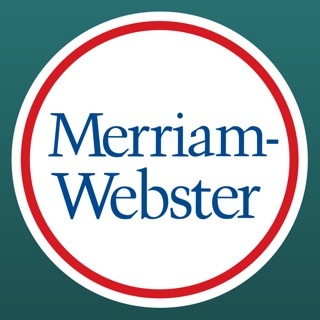 Endorsed by the North American SCRABBLE® Players Association (NASPA), The Official SCRABBLE® Players Dictionary contains more than 150,000 playable two- to fifteen-letter words, and variant spellings for game players in Canada. 2018 updated dictionary with new words! This is the dictionary I use when I want to see if a word that has been played is indeed a word. I simply type it into the lookup bar and it tells me immediately if it’s a word or not. If it is, I can then easily go to it’s definition. Now that Merrimack Webster has put out a sixth edition I had to purchase the Kindle version. And it’s awful. It takes way too long to find a word. Please please please update this app soon. I paid $10 for the Kindle dictionary. I’d gladly pay you for the app which is so much more suited to my needs. As a former tournament player and current club player, I have had a lot of experience with different dictionary and study apps. There are a number of notable user interface and/or user experience mistakes in this app. The biggest being the use of an alpha-ordered soft keyboard instead of the far more common and, now, far more natural QWERTY layout. At times, "back" goes a step, or more, further back than you'd expect. 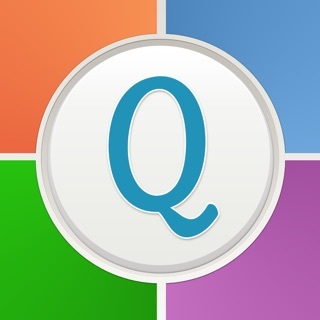 The 'word finder' part of this app works well, and it takes maybe five minutes to get through its "unintuitive" learning curve. 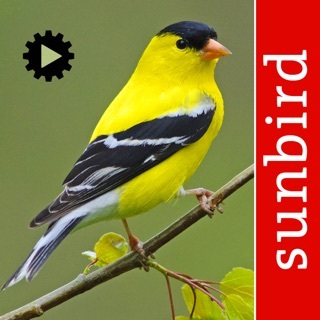 Perfect for Wordfeud, which I've been playing for several years. After getting Scrabble Players' Dictionary, I don't recall receiving a "PLEASE WRITE US A REVIEW" notice; this also is a plus.